Welcome back to a new school year and we welcome onboard the following new Kiwi Can schools. 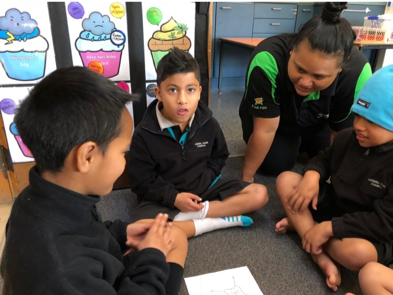 Kauri Flats school, St Mary’s Papakura, Henderson South and this term It’s all about positive relationships and we’re well underway. In Kiwi Can we aim to look at the different sides of a topic each time, so we are always expanding on our children’s knowledge and challenging them with different ideas and angles to each topic! Along the way we’ll be learning to recognise where conflict is likely to occur, as well as learning and practising strategies to resolve conflict. Our tamariki will also be practising being good role models as we lead others. What ar e some ways we can work and play together safely and thoughtfully with friends? What about with people we don’t get on with so well? Share the post "It’s all about Positive Relationships"